Thanks for dropping by. 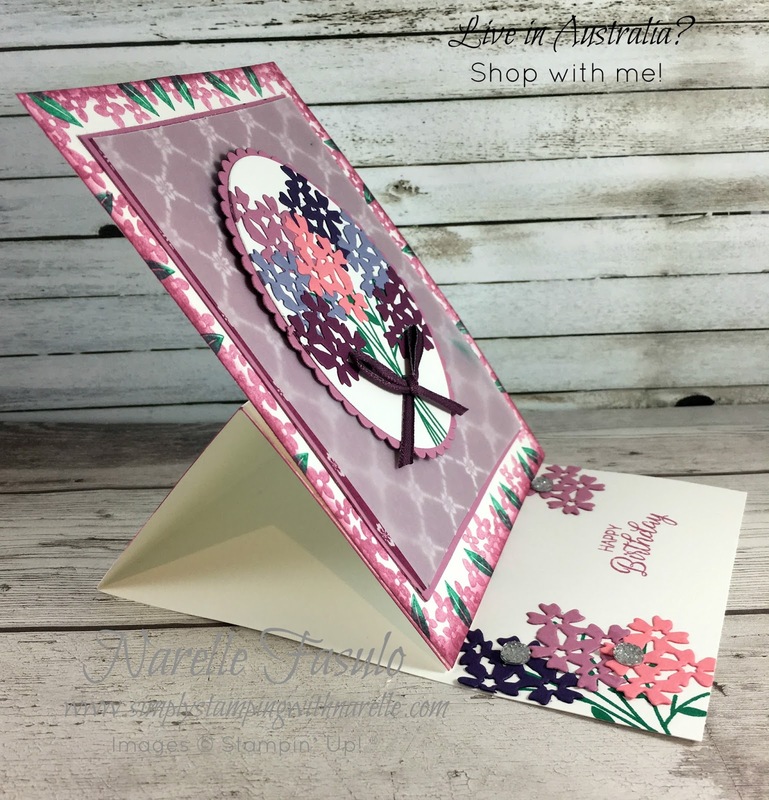 Today I have an easel card to share with you. 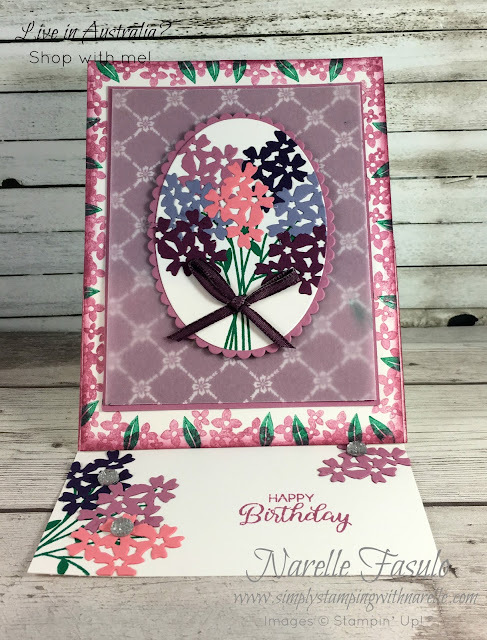 These are fun cards to make, and this one is super pretty with all its flowers. 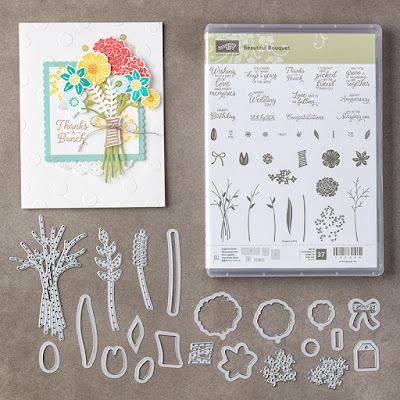 I have used the Beautiful Bouquet bundle on this card. Click here to grab your bundle now. This stamp set and the matching framelits will be carrying over to the new catalogue in June, but they will no longer be a bundle. This means that you will have to buy them as seperate items and no longer receive the 10% discount. So grab them now and save 10%. This card was one of the projects in March's Stamping By Mail classes. If you want projects like this, with full instructions, delivered to your door, then you need to register for one or more of my Stamping By Mail classes. Each month there are new classes on offer. Plus there is always the past classes to purchase as well. Find out why these classes are wildly popular by clicking HERE or on the image below.